The campaign has been a significant improvement from Lakins' first time through the Carolina League last season. Before his season ended in July due to a stress fracture on the tip of his elbow, Lakins has posted a 5.93 ERA and 1.62 WHIP in 91 innings over 19 starts, striking out 79 hitters in his first full season. The campaign was seen as something of a disappointment for a player who'd been getting some buzz after the Fall Instructional League and spring training, rising to number 10 in the SoxProspects rankings. With the promotion, Lakins becomes the third member of the Red Sox 2015 draft class to reach Double-A, following outfielder Andrew Benintendi (first round) and reliever Ben Taylor (7th round), who have of course both reached the major leagues. Lakins was selected in the sixth round with the 171st overall pick in 2015 as a draft-eligible sophomore out of Ohio State. He signed for $320,000, which was $32,500 over the slot value for the pick. 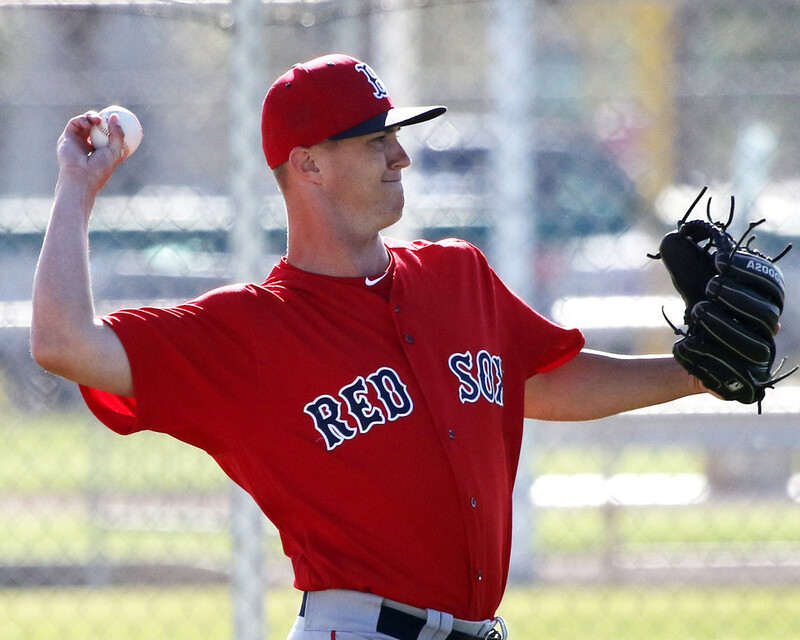 UPDATE (10:00 a.m.): It appears that right-handed pitcher Kyle Hart will be joining the Greenville Drive from extended spring training. Hart, a 19th-round pick out of Indiana in the 2016 draft, struck out 19 hitters while walking 2 and allowing 12 hits in 11 2/3 innings in four starts and posting a 2.73 ERA. We expect that there will be promotions later today from Portland (candidates include Jalen Beeks, Jamie Callahan, Ty Buttrey, and Austin Maddox) and Greenville (candidates include Shaun Anderson, Mike Shawaryn, and Stephen Nogosek). UPDATE (10:30 a.m.): According to SoxProspects sources, right-hander Daniel Gonzalez will be promoted from Greenville to Salem. Gonzalez has been excellent in a piggyback role this year, pitching on a starter's schedule and going longer outings out of the bullpen, posting a 1.85 ERA and 0.90 WHIP in 24 1/3 innings while striking out 25. Gonzalez also pitched 87 2/3 innings for the Drive last season, which made him a prime candidate for a call-up. Gonzalez will likely pitch out of the rotation for Salem. UPDATE (1:30 p.m.): As first reported by Alex Speier of the Boston Globe, Callahan has been promoted to Pawtucket. Callahan has been dynamite in 2017, striking out 20 and allowing just 2 runs on 8 hits in 13 innings while not allowing a single walk. Callahan was part of a group of four non-roster invitee relief pitchers who stuck in big league camp until the very end this spring, and he has apparently carried that success over into the regular season. In a countermove, the PawSox announced that Erik Cordier has been released.